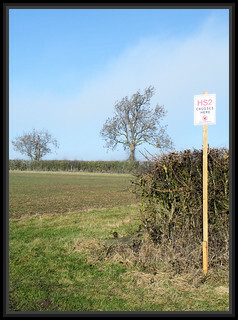 Home » General Musings » HS2 – the end of the line? Politics – who cares? HS2 – the end of the line? Politics – who cares? I am going to do something a little bit different today with my blog piece. Don’t worry, I am not going to stop ranting. I said a little bit different, not completely out of character. Today I want to drag myself away from the usual preoccupations of a 40 something year old mother of three and write about something which makes me both very cross and also seriously concerned about the future of politics in this country. What’s got me so worked up? Yesterday, I did a little bit of work on a briefing for the campaign against HS2 (the High Speed 2 rail link for those who don’t live in the UK and for those who do but don’t think it will affect them in the slightest (more on this later)). Firstly I have to declare an interest – I live very close to the proposed line in the Chilterns Area of Outstanding Natural Beauty. 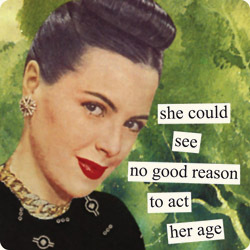 I can almost hear you all switch off – “oh she’s a NIMBY”. Yes, I am a NIMBY but then isn’t everyone? If a motorway or a railway line was going to be built through your back garden, you wouldn’t welcome it with open arms, would you? NIMBY is a totally meaningless expression, used as a cheap stock insult thrown at protesters to try and undermine their protests and dismiss the validity of their viewpoint. So, yes, I am a NIMBY but wake-up everyone else who doesn’t live anywhere near the proposed line, this project will affect you, will cost you and will not benefit you. This Government is using the word NIMBY to alienate us from you, to pull the wool over your eyes, to convince you that this is a project of huge economic, environmental and business potential. I am not going to bore you with a mountain of statistics and figures – that would be extremely tedious and I don’t even need to because the arguments in favour of HS2 are so fragile and tenuous that you don’t have to dig very deep to expose its nonsensical foundation. Suffice to say that HS2 will undoubtedly cost way more than is predicted as these projects have a habit of doing and the purported benefits are highly disputable. The latest strategic case is built on frankly questionable assumptions and flawed projections, many of which the Government has failed to provide evidence to support, and as I suspect happens with so many of these projects, once you look behind the headline figures, the calculations are a moveable feast, open to some quite blatant manipulation to suit purpose. Forget the numbers. HS2 does not stack up on any level. All I keep hearing is how we need this super-duper railway system to rival those in other countries like China, France and Germany. Hello, why do we? One glance at the map answers that question. We are not a large country, people do not have to travel huge distances between cities – London to Birmingham cannot be compared to Shanghai to Beijing – that’s patently ridiculous. Apparently we desperately need more capacity as all our trains are overcrowded and business travel numbers will dramatically increase in the future. I don’t agree. With the exception of some extremely busy commuter routes, most of our trains run half empty and surely a dramatic increase in business travel is unlikely as technology progresses further and the need to meet face-to-face diminishes? Even if it does increase, why does anyone need to get to Birmingham and beyond any quicker? The Government seems to be assuming that all business travellers sit on the train, twiddling their thumbs and playing “Angry Birds” on their phones. Most business travellers work on the train – in fact, many relish the opportunity to get things done which they don’t have time for at other times of the day. Where’s the economic benefit to shorter journey times? Why not just upgrade current railway lines – way cheaper, just as effective? So no real economic benefit. What about environmental benefit? The argument about HS2 providing “green” benefits has been largely abandoned – it just does not. Instead it will destroy some of our most beautiful ancient woodlands and habitats, something which we have a responsibility to preserve for future generations. Take where I live, for example, in the Chilterns AONB – how ironic that I can’t do anything to my house without jumping through thousands of hoops with planning etc but the Government can authorise a train line which will scythe through the countryside, destroying mile upon mile of both land and housing. I know what you’re thinking – may be she has got a point but frankly it is not really going to affect me. Wrong. If you are a tax payer, you will be paying for this. Is this where you want to see your money spent (wasted?). Think about your own local area for a minute – is there perhaps a hospital that is being forced to close, a school that requires some serious investment or public services which require upgrading? Wouldn’t you rather see money spent on these things that actually do affect you, rather than a wasteful, unnecessary rail link which appears to be nothing more than a vanity project, a useless legacy which this Government seems determined to leave for future generations? Looking more closely at HS2 has left me ever more concerned about politics in this country. It is no wonder that increasing numbers of us believe absolutely nothing which comes out of politicians’ mouthes. HS2 is so clearly, in my mind, one of the most outrageously wasteful projects of recent times and the fact that the Government is still trying to “persuade” us that it is for our benefit only goes to make me mistrust their motivations on all other issues both at home and abroad. The result – well me – I’m mistrustful, skeptical, cross at the actions of politicians, verging on “giving up” on politics. What about for our children? What sort of faith can they possibly have in our political system if it is so patently not acting in their best interests, if there is always another agenda? In my mind this can only lead to a generation of young people who are totally apathetic about and disinterested in politics. This is a serious state of affairs and one which politicians need to address urgently. Trust has to be rebuilt, respect for the people that politicians serve needs to be regained. HS2 is a small issue on the world stage, of course I appreciate that, but a generation of young people who are simply not interested in politics is not. This entry was posted in General Musings and tagged Angry Birds, AONB, Birmingham, China, environment, Government, High Speed 2, HS2, London, NIMBY, Politician, Rail transport, Shanghai, tax, technology, The Chilterns, train. Bookmark the permalink. Well said Kathryn – perhaps all the NIMBYS and everyone else for that matter in this country who cares enough to do something about it should join together as one and let this massive voice be heard and acknowledged.